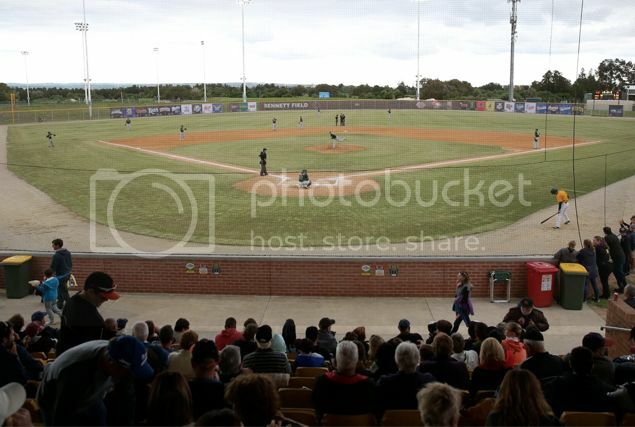 Baseball in Adelaide is known for being the most FUN sporting experience in the ABL. We like to think its the most family friendly and affordable experience you can have in the sporting market in South Australia. With fantastic flavours from food trucks, plenty to do for kids and loads of interaction with players, Baseball is an experience like no other. We love hearing the sounds of clapping, chanting and cheering. We enjoy seeing the kids chase foul balls (and keep them!) around the park. It's great to run on the field and meet the players after every game. There's nothing better than seeing a new fan meet a new hero. The weather is great, the themes are fun and we think you'll enjoy it. As for the quality of play? Come see for yourself. The Bite are loaded with talent who play on the Australian National Team in the World Baseball Classic, prospects on their way to the Big Leagues (we have 9 players who have moved on to play on the MLB) and up and coming local stars. Get behind your team today and join the family. 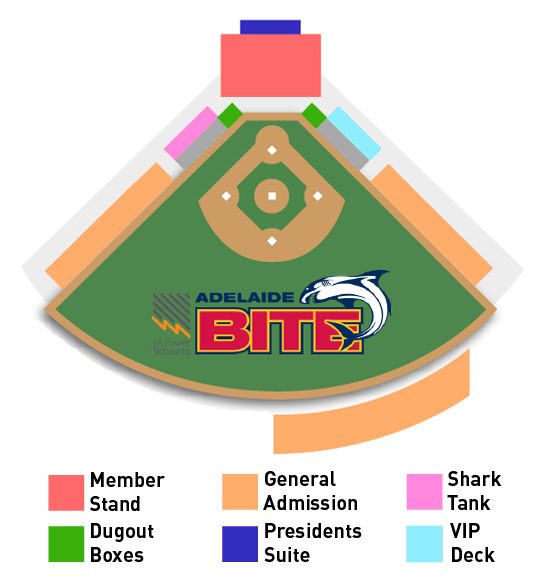 In 2016 the Adelaide Bite, proudly presented by SA Power Networks, moved their home ground to Adelaide Shores Baseball Complex just off West Beach Road in West Beach. It's an exciting opportunity for baseball in South Australia to play on their very own purpose built facility. The stadium is located at the Diamond Sports SA Complex on West Beach Road, West Beach. With Baseball becoming a bigger spectacle in Australia, we will be moving forward in creating new and exciting opportunity bringing the action closer to our spectators in our new boutique Stadium offering a family friendly atmosphere.